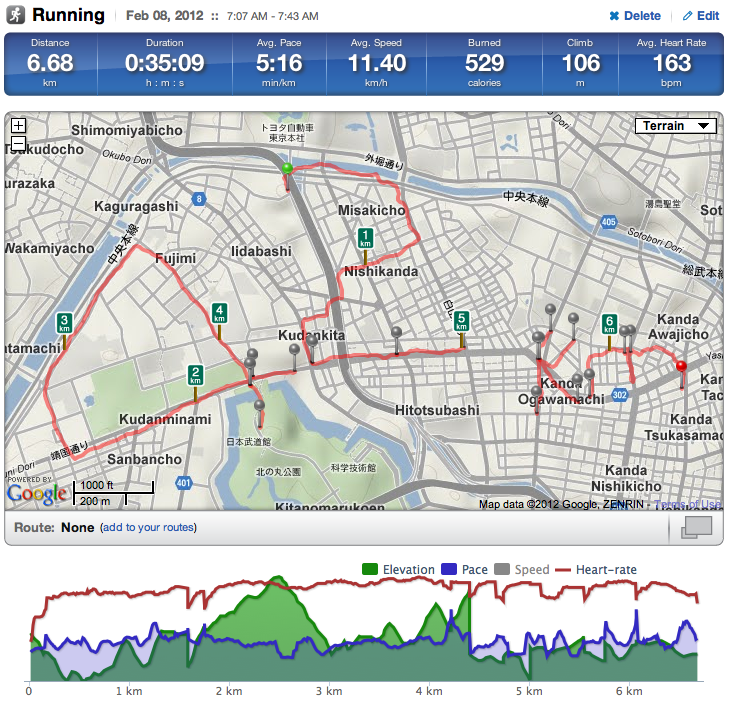 With the Tokyo Marathon now only a couple of weeks away, I really need to step up the pace with my training, make sure I’m capable of running those long distances. However, with time being in short supply, I’m having to come up with innovative ways in which to get the milage in – but without spending hours on the road. That’s where the idea for this morning’s run came from. 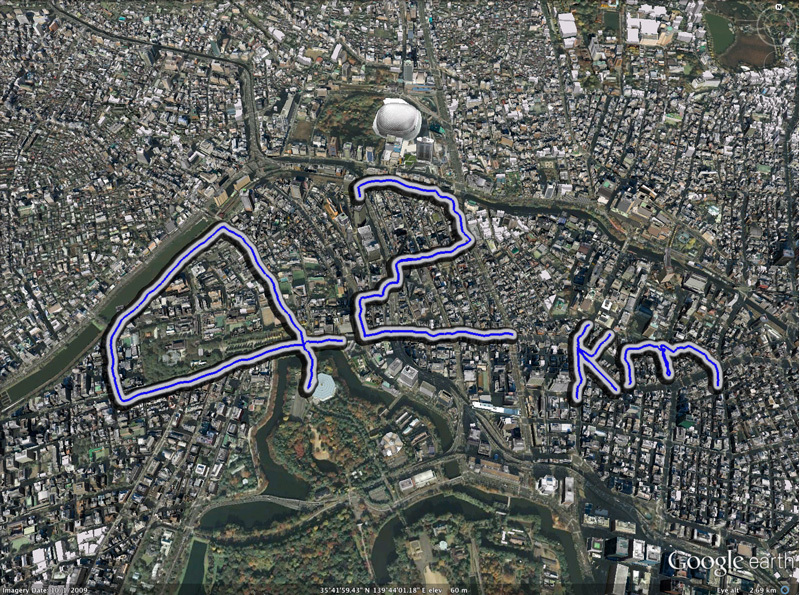 I realized that it was actually possible to run ’42km’ in under an hour, by using a couple of iPhones and some mapping software to carry out a stunningly clever mind-trick that would fool my body into thinking it had run a whole marathon. Clearly, it’s worked, as I was able to complete the 42km in just 35 minutes, yet now feel just as knackered as I did at the end of last year’s Tokyo Marathon.